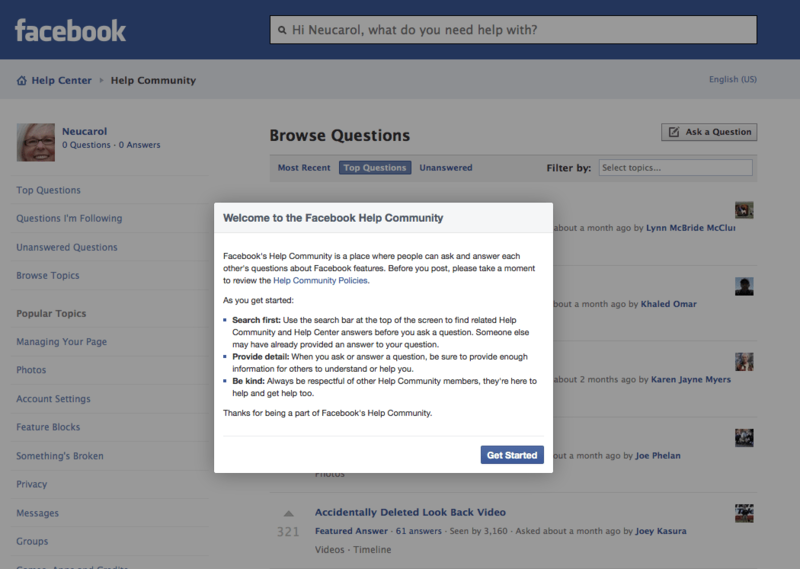 FB policy is only ONE account, but a business page can be set up under the original account. 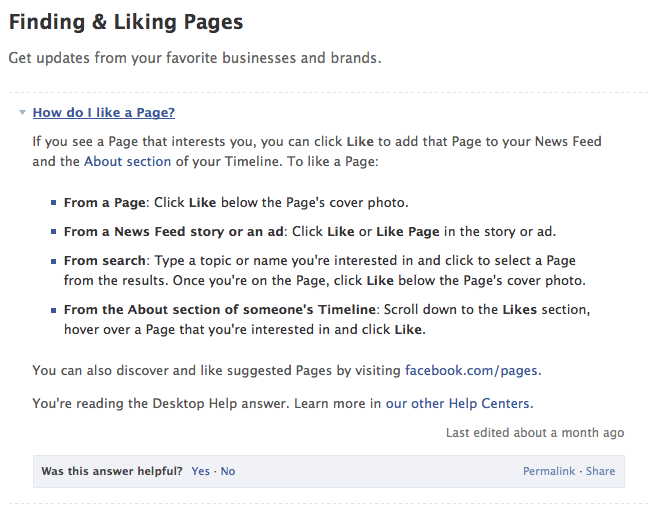 Countless FB users face a similar dilemma–how to use a business page set up under a personal page. One way around this policy is to set up a separate account, a No No at FB. In fact, if another account is set up under another name, FB can/will cut off all accounts. 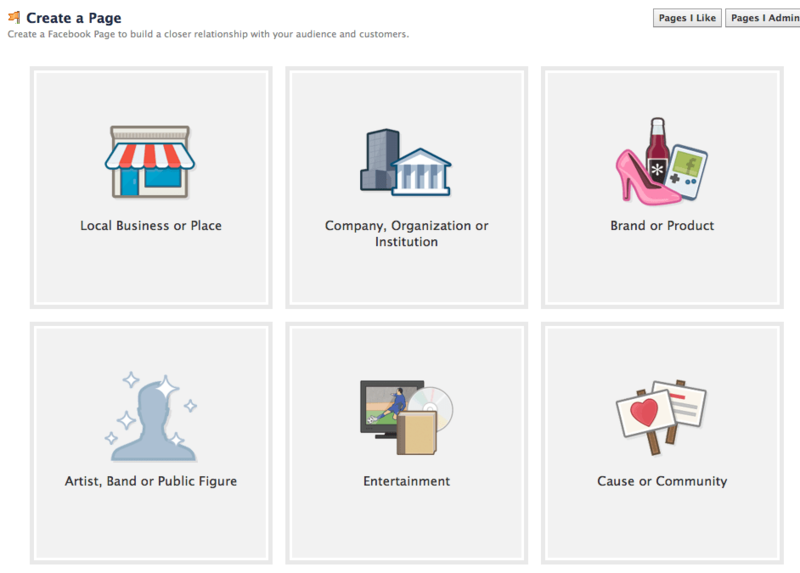 Apparently, FB spends money looking for sinners but none on customer service per their disclaimer. Anyone out there every received a reply from FB? Please let me know so I can submit to Guinness World Records. I’m not the only one with this problem, witness Google search. NO! Can’t Like if there is no ‘Like’ button. You will notice a Friend Request was sent, but was sent from my personal page as, when using Business Page, the options below do not appear. 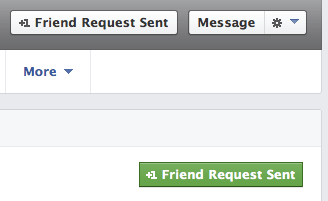 I finally resorted to sending a FB message with my business page address; how 20th century. Click on everything across the top of the FB site until you find Create a page. That’s the easy part; using the Page is the issue. Even more frustrating is that some times things work and sometimes they don’t. Can change within minutes/seconds. This is a roadblock today; the link Get Started is not working so can’t use the FB community help. You’d think a company with a market value over $1 Billion (yes, that’s a ‘B’) could/would/should have a well functioning website both for the user and the customer. Because, if I can’t use a business page effectively, customers can’t use it, and that defeats FB reason to exist–Sales. I can and will go online elsewhere . 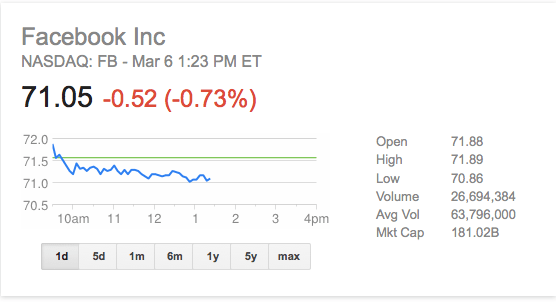 Yeah, FB is snickering as the door slams behind me and larger $ sale businesses fill the gap. Then again, perhaps FB is not the place for small businesses. 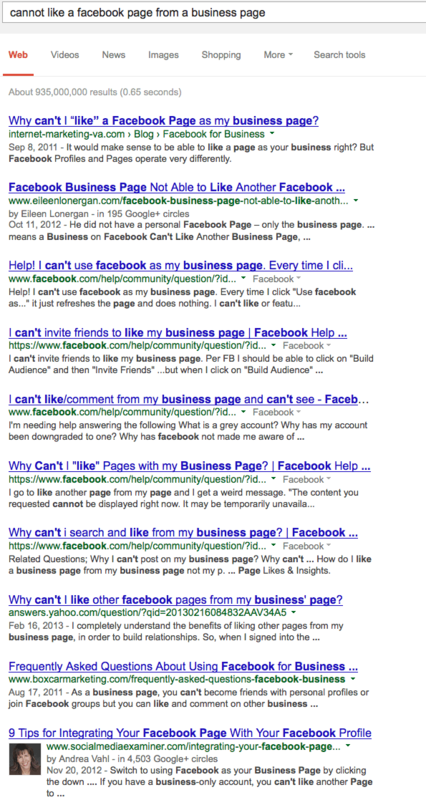 Facebook: Why Can’t I like a Facebook page as My business Page? This entry was posted in OPINE and tagged business page, facebook, Facebook Business Page, Facebook Like, FB, Like, rant. Bookmark the permalink.